Message From The City Manager: It is my honor to serve as City Manager for the City of Pasadena and to lead a team of dedicated and talented employees, working to implement the policy direction of the Mayor and City Council. Looking back on calendar year 2018, much has been accomplished, as highlighted in this annual report. Without a doubt, the most significant event was the successful passage of Measures I and J this past November, with voter approval exceeding 68 percent and 72 percent, respectively. 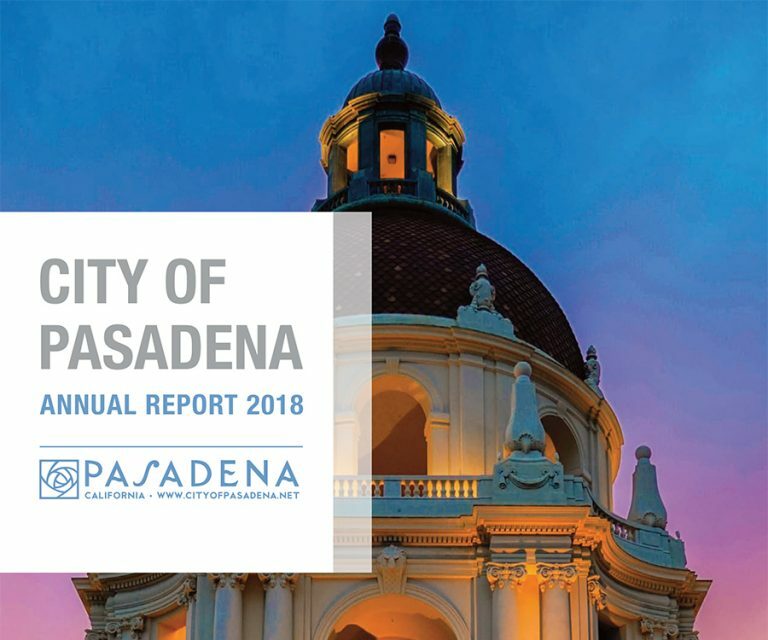 Measure I,... continue reading »"2018 Annual Report"
Message From The City Manager: As City Manager, it is my honor to serve the residents of Pasadena, working alongside the Mayor and City Council with a cadre of dedicated and passionate City employees to enhance the quality of life for all who live, work or visit here in Pasadena. 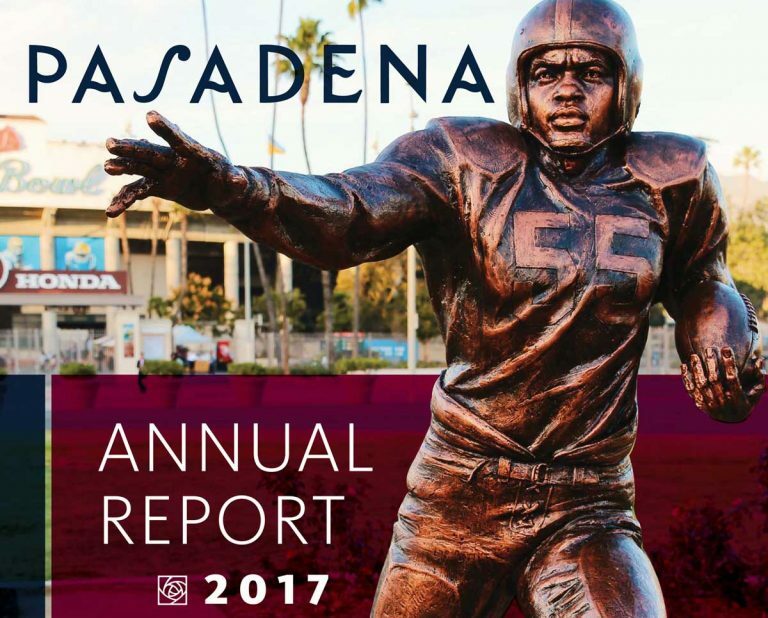 This past year, our City moved forward in many ways and we expect that 2018 will again bring great things to Pasadena. 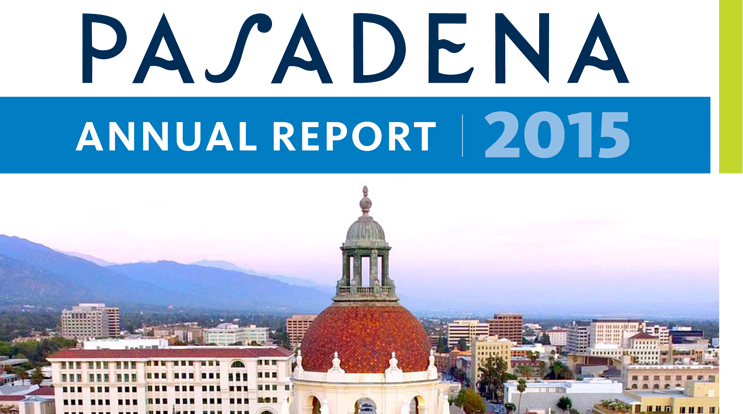 Our 2017 Annual Report highlights many of our... continue reading »"2017 Annual Report"
Message from the City Manager This past year, I was honored to have been selected by the City Council to serve as Pasadena’s new City Manager. I am grateful to the residents of Pasadena; members of the educational, faith and business communities; those in elected office and our wonderful City employees who have supported me and worked with me since I first started here in 1989. My new duties as City Manager are a tremendous responsibility that I take on... continue reading »"2016 Annual Report"
Message from the City Manager As 2016 began, the fun and excitement of the annual Tournament of Roses Parade and Rose Bowl Game reminded me once again of how uniquely special the City of Pasadena is to the world—we are America’s New Year’s Day Celebration. 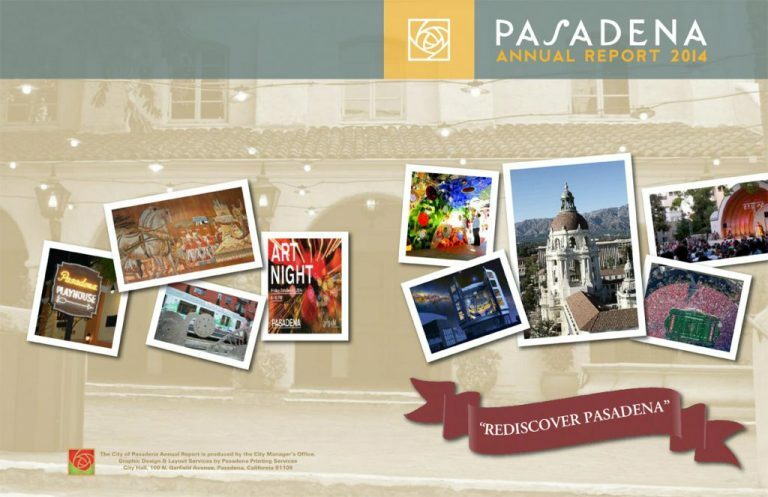 Our community, our public service and our hospitality are world-renowned, and it is our reputation which inspires us to ensure the municipal programs and services we provide throughout the year to our citizens and businesses... continue reading »"2015 Annual Report"
Introduction The City of Pasadena experienced many positive accomplishments during the past year and the Annual Report is our opportunity to highlight those achievements. However, it became apparent that 2014 also would be remembered for the discovery that Pasadena was the victim of a long-term embezzlement scheme allegedly perpetuated by a former City employee. It is very unfortunate that the misappropriation of up to $6.4 million will overshadow the success and progress achieved by nearly 2,000 honest, hardworking City employees in 2014. 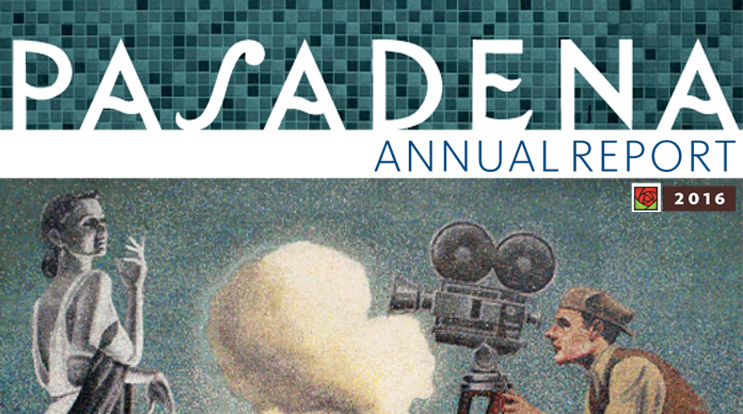 The City has... continue reading »"2014 Annual Report"
Welcome Pasadena in 2013 experienced remarkable success and advancement on many projects and initiatives thanks to the leadership and dedication of the Pasadena City Council and the outstanding work and focus on customer service by City employees. We maintained a fiscal strength that is the envy of many other cities throughout California and the nation which enabled us to make significant investments in the City’s infrastructure and improvements to key assets such as Fire Stations 32 and 39, our parks and the Glenarm Power Facility.... continue reading »"2013 Annual Report"